A trucker cap that shows off adidas Originals pride. 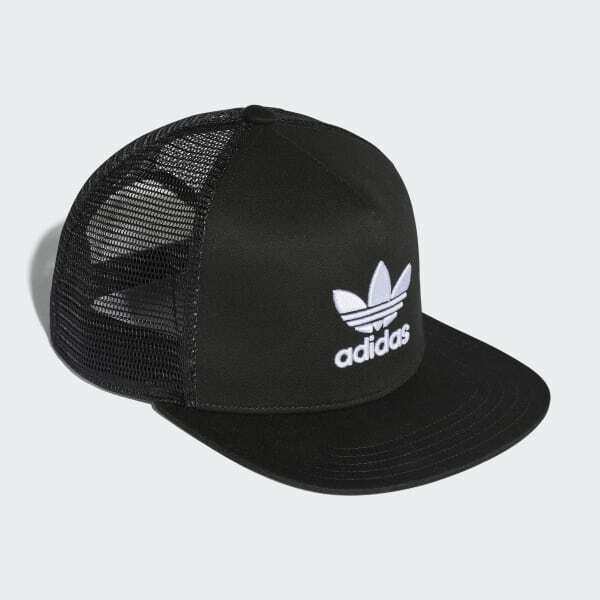 This mesh trucker cap puts adidas Originals pride front and centre with a big embroidered Trefoil logo above the brim. A plastic snap-back adjuster lets you fine-tune the fit.